This summer, up to 242 convicts will be brought from Norway to the Netherlands to serve out their sentences in a Dutch jail, junior justice minister Fred Teeven told parliament on Thursday. Teeven said he had signed an agreement with the Norwegian prison authorities to provide jail places for the prisoners, who will not necessarily be Norwegian. ‘It could be a Pole, Latvian or Lithuanian with a Norwegian prison sentence,’ he said. 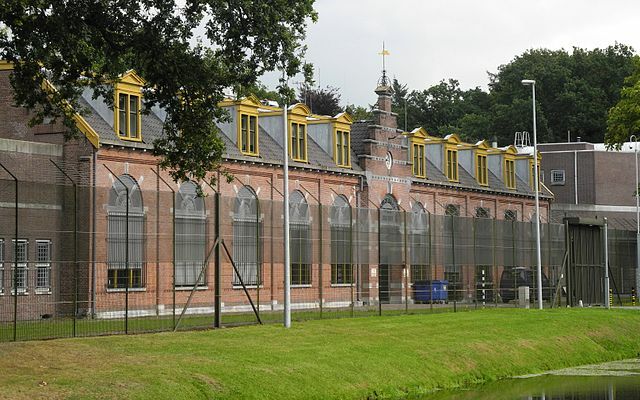 The foreign prisoners will be housed in the jail in Veenhuizen, in rural Drenthe, which had been threatened with closure because of Dutch prison cutbacks. Veenhuizen has a long history as a penal colony within the Netherlands. Teeven said he had agreed with the Norwegians that the prisoners moved to the Netherlands would not be serving life or other very long sentences. However, he told parliament he could not guarantee there will be no people convicted of terrorist offences. The plan to bring in foreign prisoners is one of several measures introduced by Teeven to try to improve prison service finances. Belgium already places some of its prisoners in Tilburg because of its shortage of jail spaces. Teeven also told MPs research is being done on the impact of housing people with convictions for terrorism in the same place. Nearly everyone convicted of such offences in the Netherlands is kept in a high security unit in either Rotterdam or Vught to stop them spreading radical ideas. However, critics say the policy of isolation and the tough regime may actually increase radicalisation.